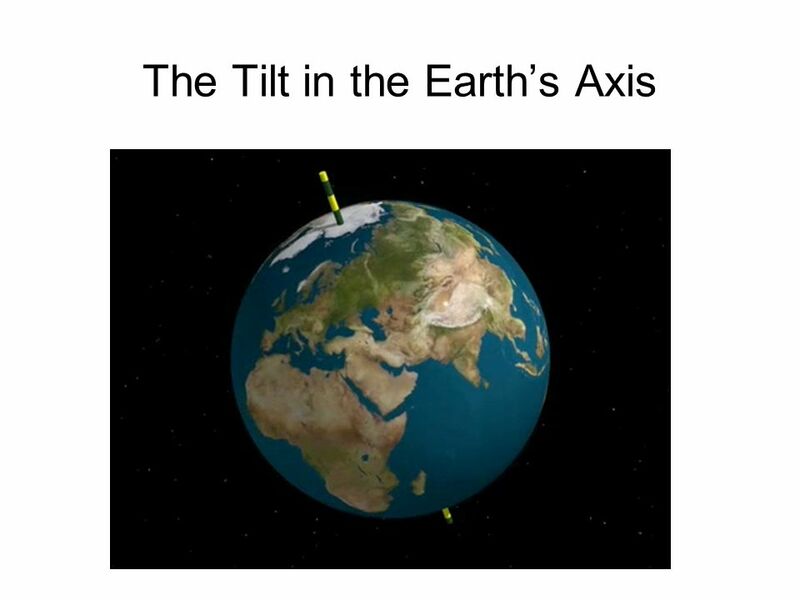 2 The earth’s axis is tilted. 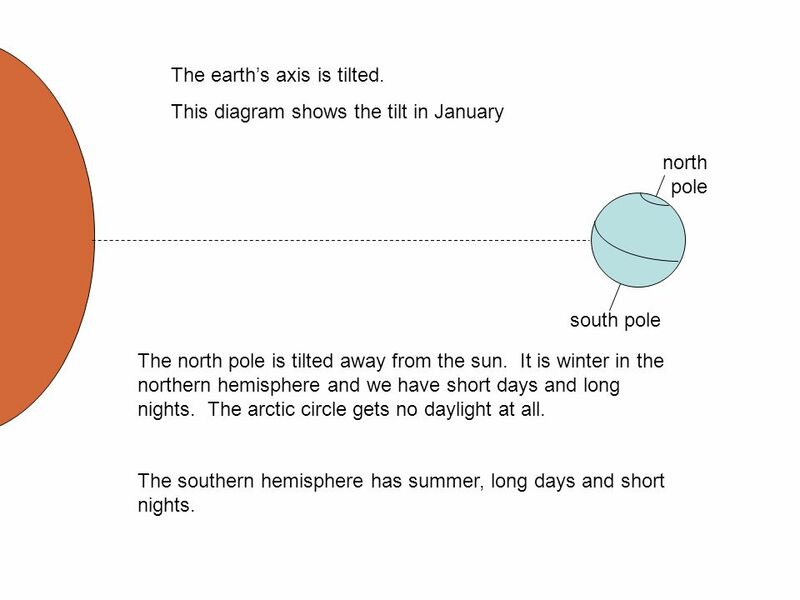 This diagram shows the tilt in January north pole south pole The north pole is tilted away from the sun. It is winter in the northern hemisphere and we have short days and long nights. The arctic circle gets no daylight at all. The southern hemisphere has summer, long days and short nights. 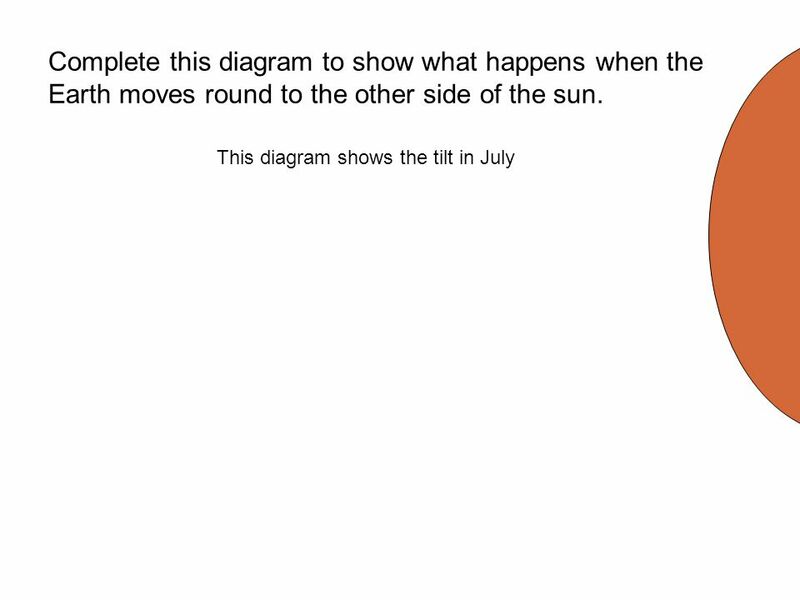 3 Complete this diagram to show what happens when the Earth moves round to the other side of the sun. 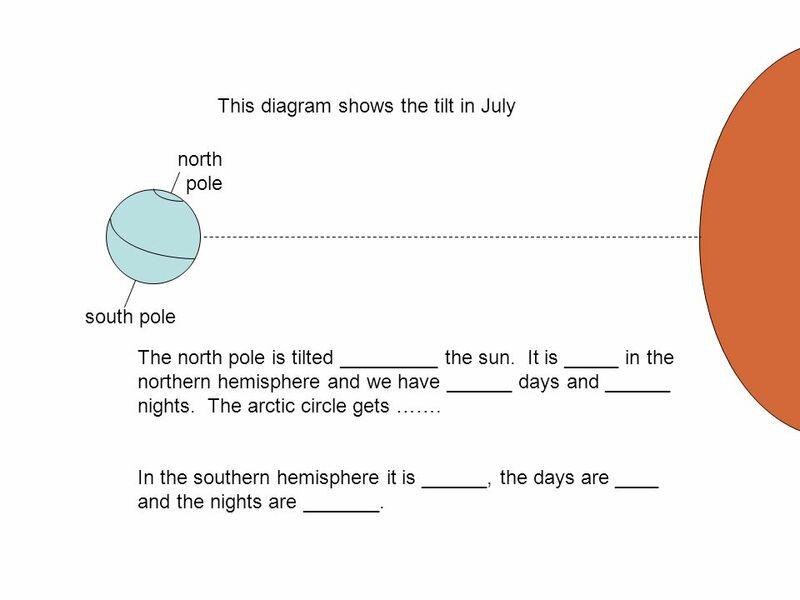 north pole south pole The north pole is tilted _________ the sun. It is _____ in the northern hemisphere and we have ______ days and ______ nights. The arctic circle gets ……. In the southern hemisphere it is ______, the days are ____ and the nights are _______. north pole south pole The north pole is tilted towards the sun. It is summer in the northern hemisphere and we have long days and short nights. The arctic circle gets daylight 24 hours a day. In the southern hemisphere it is winter, the days are short and the nights are long. 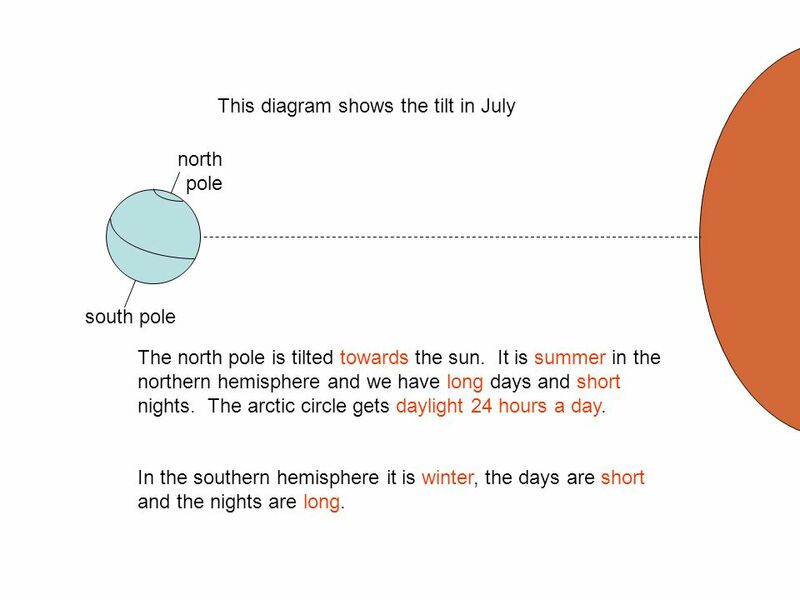 Download ppt "The Tilt in the Earth’s Axis"
Why do we have seasons?. Earths rotation The Earth rotates on its axis (imaginary vertical line around which Earth spins) every 23 hours & 56 minutes.The. Season Vocabulary Seasons – A pattern of temperature changes & other weather trends over a year. THE EARTH IN SPACE THE SEASONS The Earth in Space. Seasons on Earth All Figures from planet.html By Diana L. Duckworth Rustburg High School Campbell County, VA.
Ch. 7 Earth in Space. What are they and why are they important to us? The Earth in Space Chapter 2 Sections 2-3. Chapter 1, Section 1.  Earth moves in two ways:  Rotation  Revolution. Earth Facts. Gallegos Elementary Science/Tech. Dept. The Solar System and Beyond B Griffiths Visit For 100’s of free powerpoints. Why do we have days, nights, and seasons? Teachers – Before viewing the slide show, right click on the document below. Go to “Document Object” and select. In the margin of your paper describe what you think causes day and night. Share your answer with a partner.